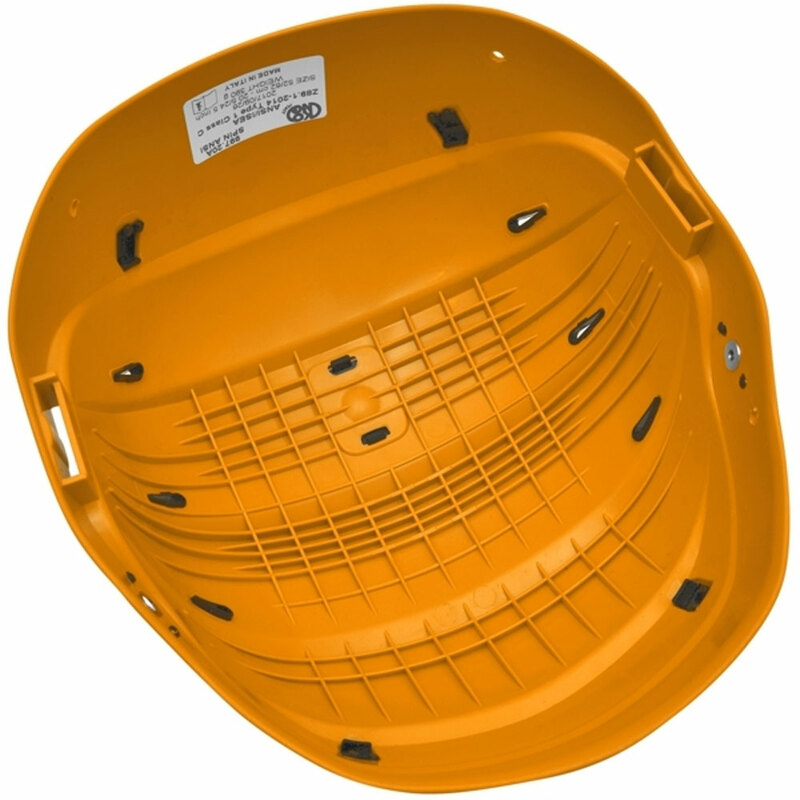 Fully-protective helmet with very low profile. 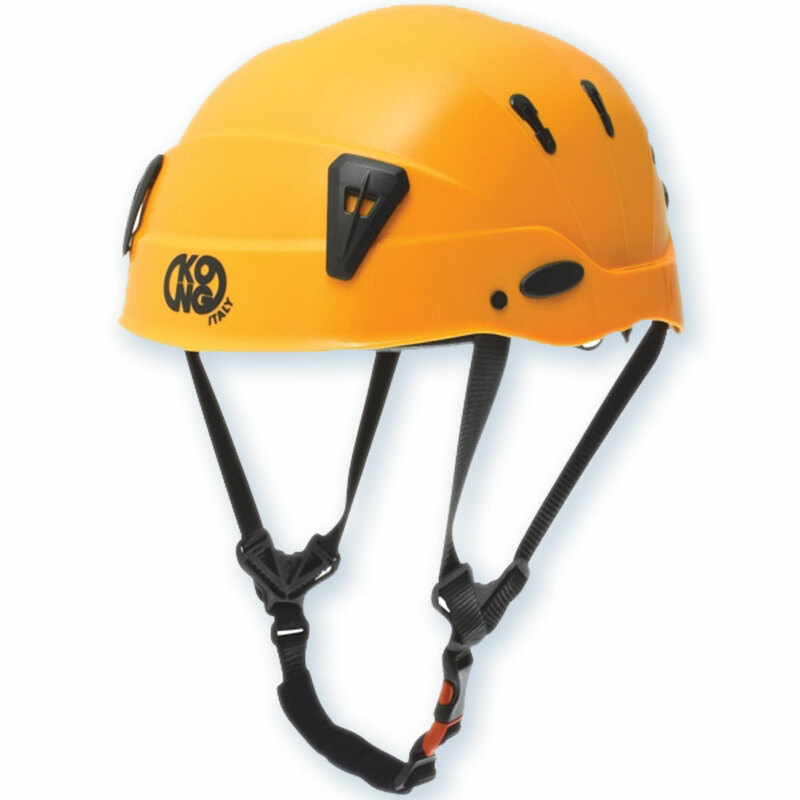 Fits from 21.6" to 24.8" (55 to 63 cm) in circumference, and great option for climbers with smaller heads. 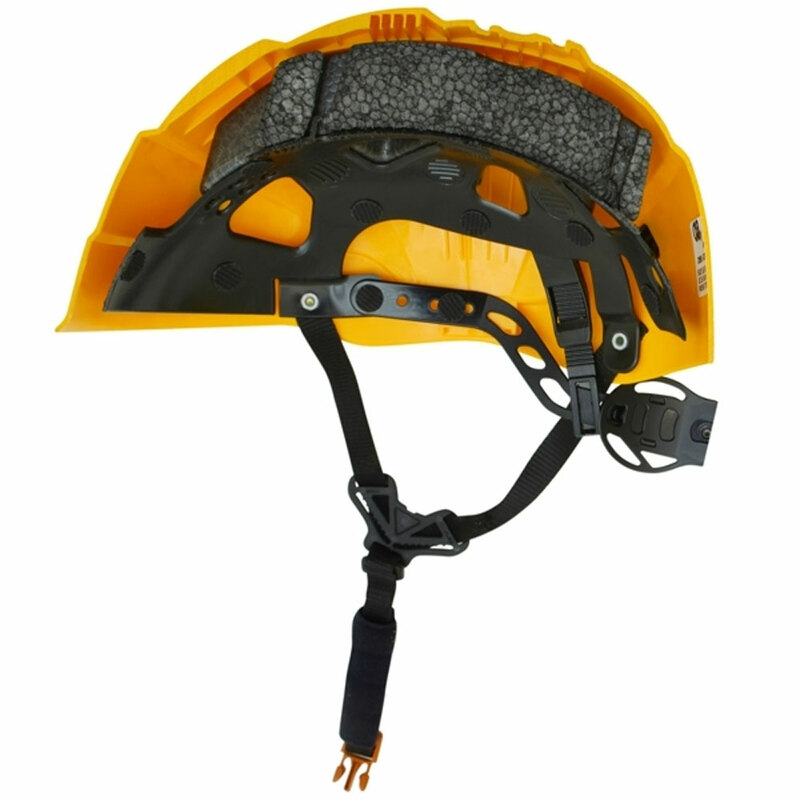 Visor, headlamp, & ear muff mounts. 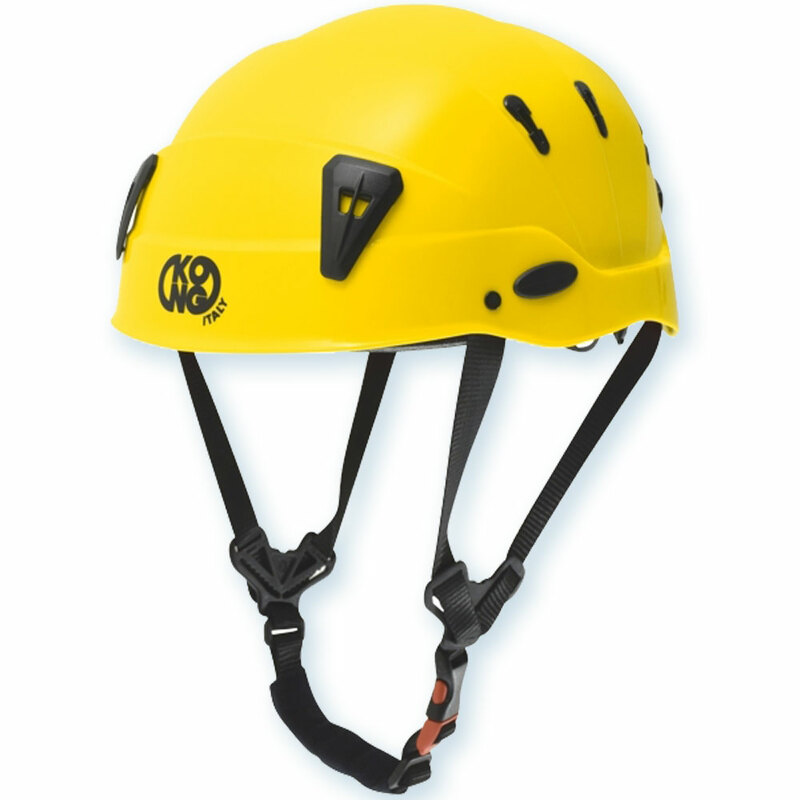 We sent out a a sample of this helmet to a climber we knew who had trouble finding a good-fitting helmet. “There are a couple interesting things about this helmet. First, it has quite a shallow lid, so doesn't come down as far in the front or back as any of the other helmets I've tried. This can pose a bit of an issue because it is harder to get it to grip your head in the same way because less of your head is inside. Fortunately the adjustment dial on the back also extends downward to compensate for this. 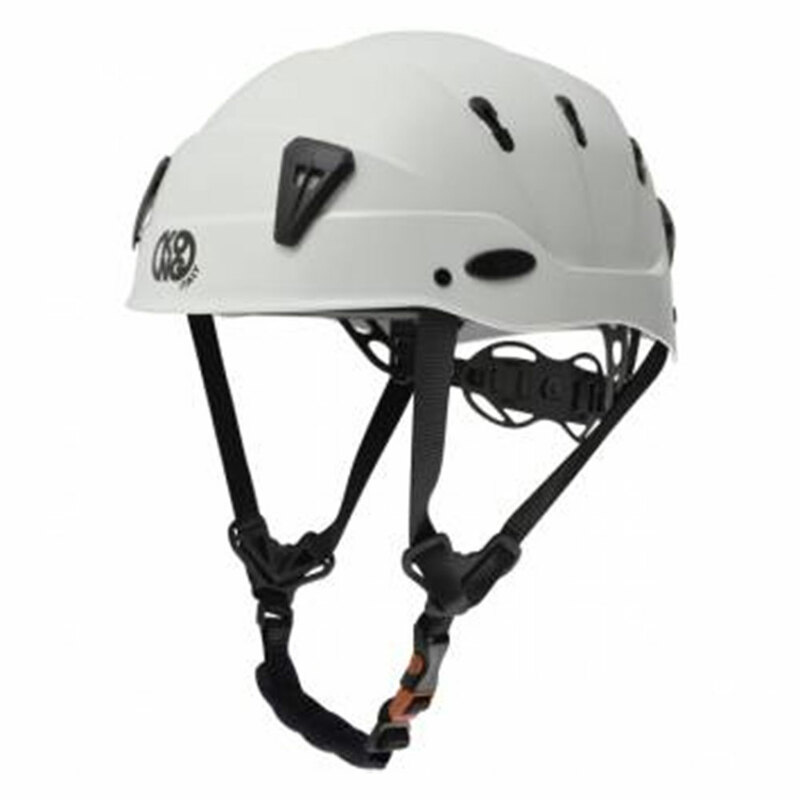 For the sake of comparison, I tried this helmet with and without the earmuffs because they do have enough extra weight to pull the helmet around on the head of smaller people. I also attached the earmuffs to my kask to see what it felt like, and that helmet felt even bulkier than the Kong with them on, so I think it is an upgrade for small headed people. I had a crewmate with a normal sized head try it on, and he didn't like how little of his head it seemed to cover. I had a similar reaction from other guys on the crew. They felt that it offered a lot less protection because it is so shallow. 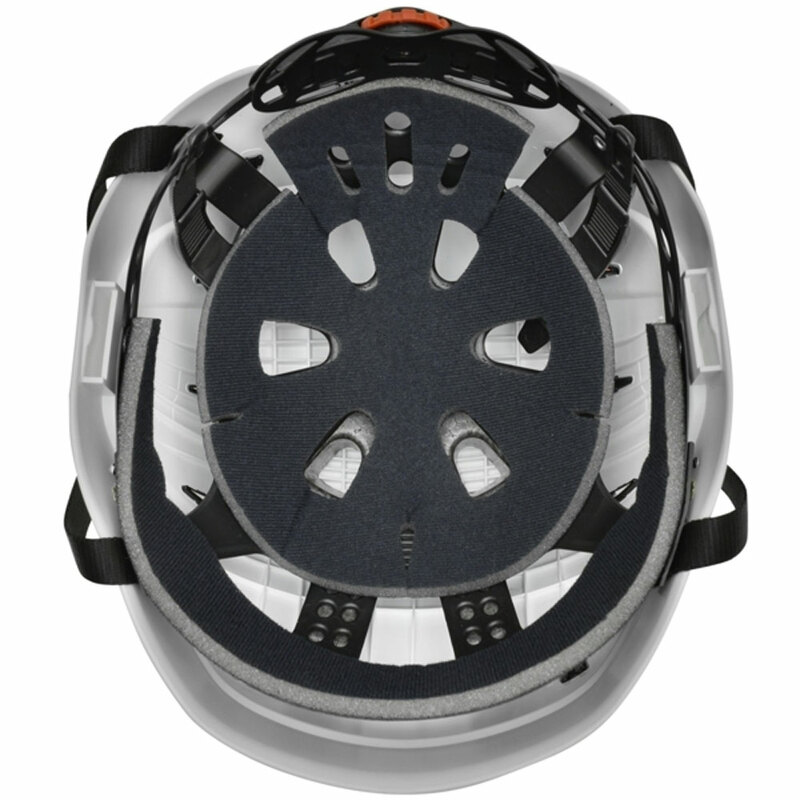 However, none of our helmets are rated for side impact protection anyhow, except the planner protos.